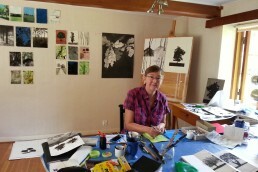 Carol was invited to spend September and November 2015 at Messen Kunstnarhuset (http://www.khmessen.no). Her second residency at Messen, she was eager to return to the place that had so inspired her during the summer of 2014. The residency is located in a huge old house that used to be the administration building for the metal processing company is still the economic hub of the tiny village of Ålvik. 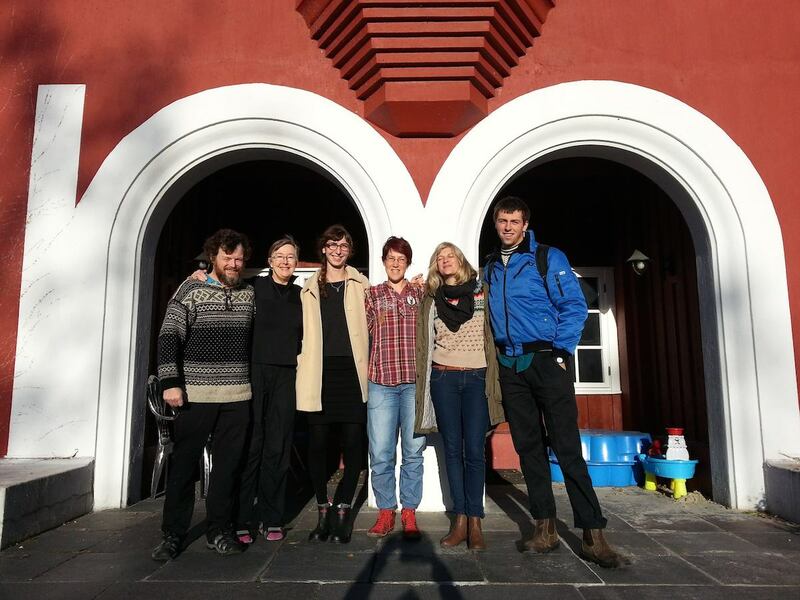 Messen Kunstnarhuset (Art House) is an inspirational residency not simply because of the spectacular environment – it is located on the banks of Hardanger fjord – but because of the spirit of artistic community and generosity that thrives there. The residency exists because of the continuing vision and efforts of a group of artists who are from, or have moved to, this special region of Norway. 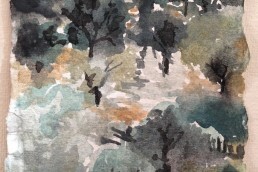 As a visiting artist, one has many opportunities for creative exchange – with fellow artists-in-residence, with those artists who live and/or have permanent studios here, and with those who belong to the two artist collectives associated with managing the house and residency. 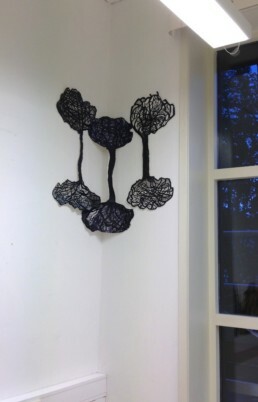 Links are also forged between resident artists and the local community. At the end of the first month, the public were invited to presentations/open studio sessions by resident artists Karla Caprali (Brazil/USA), Kit Kelen (Macao/Australia) and Carol Archer. 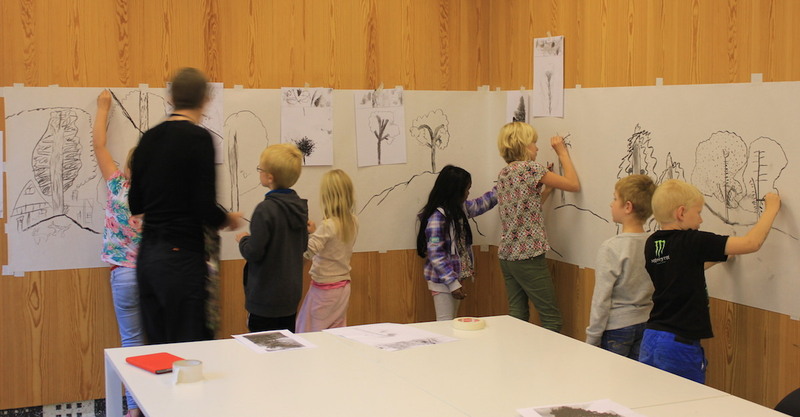 Invited by full-time Messen artist/caretakers Simone Hooymans and Hans Pulles to participate in the Messen Kulturskule programme, Carol also enjoyed running a collaborative forest drawing workshop for a group of eight-year old Ålvik children, guiding them in drawing a large collaborative forest picture. The Messen Autumn Show (October 24-25, 2015) was the initiative of the six artists resident during October – Kristen Keegan (Canada), Kit Kelen (Macao/Australia), Ranveig Lægreid (Norway), George Ridgway (UK), Dafna Staretz (Israel/Germany) and Carol Archer (more information about each of the artists-in-residence may be found at http://www.khmessen.no/todays-residencies/). 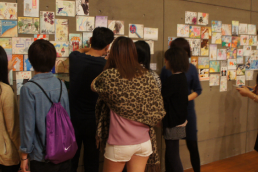 The presentation of paintings, drawings and installation works was accompanied by the performance of poetry, vocal and musical improvisation works. 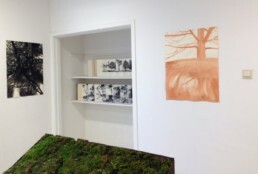 Carol exhibited two folding books – Scots Pines of Ålvik and the next chapter of Tree Diary (a work begun ARNA Art and Nature Residency in Harlosa, Sweden during the summer) along with a number of small ink and watercolour drawings, a drawing installation and two larger watercolour and ink works. Installation view, Carol Archer's work at Messen Autumn Show, 2015. Untitled, 2015, ink on watercolour paper, approx 76 x 66cm (dimensions variable). Poster for Messen Autumn Show, 2015. 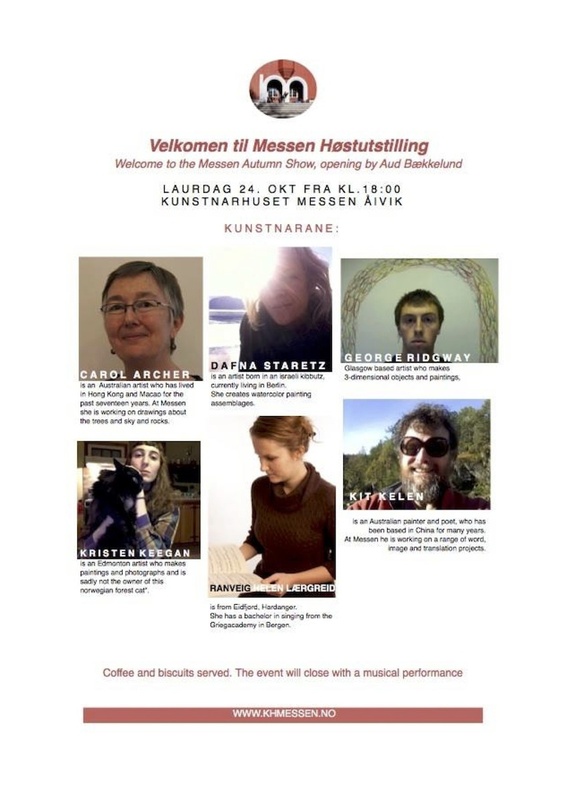 At Messen Kunstnarhuset, Alvik with fellow residents, from Kit Kelen, Carol Archer, Kristen Keegan, Simone Hooymans (artist and caretaker), Dafna Staretz, George Ridgeway. 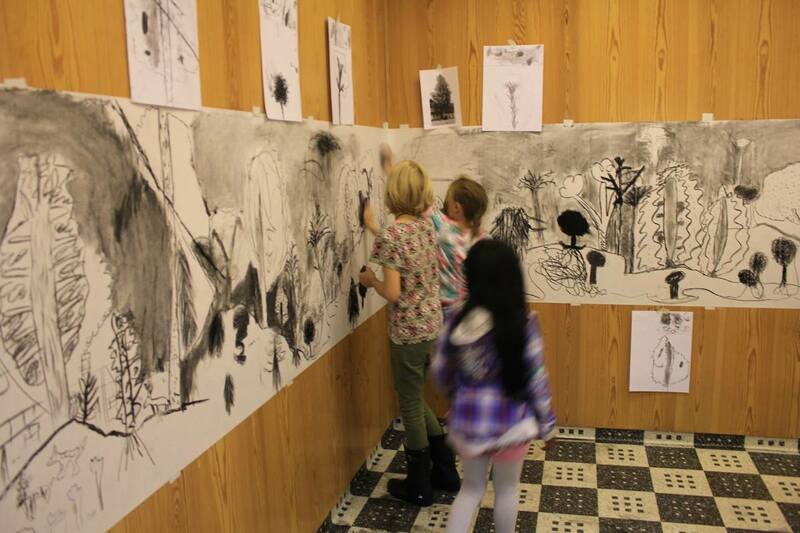 Collaborative forest drawing workshop with Alvik children. Am intrigued by little double-ended whosits. Are they some new type of plant life discovered by your good self? Reflections in the fjord? Just delightful whosits? They’re more an interpretive thing – considering branches, trunk and roots. Glad you found them intriguing 🙂 Thank you! I loved the folding artworks particularly. 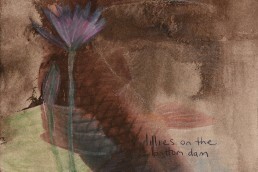 All the drawings give such a vivid impression of the beauty of the trees where you are. What a wonderful place to be. 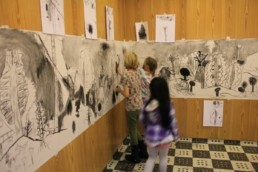 I thought the children’s artwork and opportunity to participate at the cottage was wonderful. What a lovely way to be part of the local community. Congratulations.